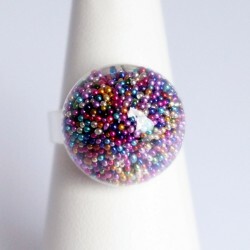 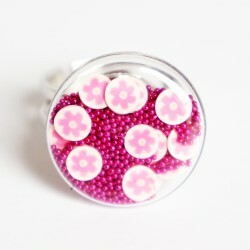 A glass domed ring filled with microbeads, our fashion rings are adjustable and fun to wear. 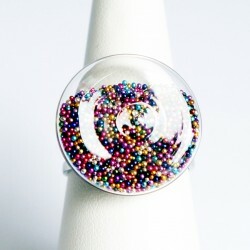 While a simple and delicate piece of jewellery, the microbead movement in the glass dome adds a bit of fun to the piece! 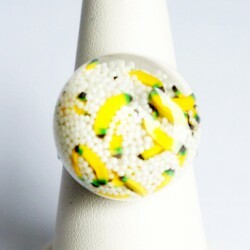 Easy to wear, whatever the occasion.